There comes a time after each release of the latest, biggest and best software from one of the tech giants when you think to yourself, “should I?” It might be the most recent iPhone or Surface Pro. At first you might think, “I’m happy with what I have”. But as the weeks pass on, a voice in the back of your mind gets a little louder. And why not? The new version is faster, prettier, more functional and… well c’mon, everyone is getting one! It’s a similar state in the corporate world, too. Although, in business it’s usually a lot more focused on the functionality of the upgrade rather than the aesthetics. Functionality, cost and ROI. That’s certainly the case with the most recent release of Microsoft’s supreme platform, SharePoint 2016. And if you’re a business that hasn’t yet upgraded to this new version, but are considering it, you should read on. Today, we’ll focus on one of the biggest factors that any business, regardless of size, needs to think about before a migration: cost. Cost is a huge element and can’t be understated. So, the important question is: how much will migrating to SharePoint 2016 cost your business? Well, there are a few factors that will impact the answer to this question. But first it’s important to be well versed on the value of SharePoint 2016. The cost of a migration should be weighed up against the value of the platform. There are significant benefits to big businesses with SharePoint 2016. A certain benefit is how scalable SharePoint 2016 is without the danger of lowering performance. There’s been an increase in max file sizes and the number of items that can be indexed, along with a bigger list threshold. Also, with the power of integration with Office 365, you have precise control over license costs per staff member—ideal for small or growing teams. Speaking of integration with Office 365, SharePoint 2016 is designed with seamless cloud integration in mind. Whether your business is fully in the cloud or your SharePoint environment is hybrid, you can avail of Office 365 tools and solutions that complement the collaboration and communication between you and your team. Mobile working is the next great revolution in the workplace and with SharePoint 2016 you can implement worthwhile mobile strategies. SharePoint 2016 works faster than other versions of the platform. The hybrid search function is a ‘game changer’ in how your users will navigate the environment and find the files they need. The productivity boost alone is a compelling reason to seriously consider a migration. Returning to the other factors that will impact the cost of a move—these should also be carefully considered before any decision is reached. The great thing about SharePoint 2016, and especially the online version, is the ability it gives small-to-medium businesses to compete with the bigger organizations in their field. SharePoint Online significantly cuts IT infrastructure and allows companies to punch above their weight. However, you still need to count up the cost of purchasing new licenses for your entire company. 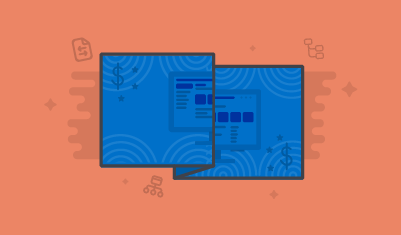 Compared to how much you’ve already invested in your current SharePoint deployment—how much will it cost you to upgrade these licenses, and is it worth it? What will you need to do with your IT infrastructure to handle the upgrade? Do you have on-premises servers? Are you going to choose a hybrid environment? What will your requirements be, compared to what you have at the moment? These are all important questions—especially when you count up what it has cost you thus far to get your IT systems running at full capacity. No doubt about it, if you prepare well, migrations can be relatively painless. However, no matter what, they still take time. And, if you cut corners, you could run into a real mess: loss of critical data, downtime, and adoption issues. So make sure you do all your research, and are completely prepared before you begin the actual content migration. Speaking of adoption issues, another big part of any migration is whether your employees will take to the new system…or how long it will take them…or how much of a headache they will give you about the change. No matter what the age spectrum, old habits die hard, and old work habits die even harder. Preparation is key, and so is preparing to lose productivity levels for a certain amount of time while everyone gets up to speed with the new system. This will have to be factored into your costs. What version of SharePoint are you currently using? A direct upgrade from SharePoint 2013 is less expensive, as Microsoft supports a move from the most recent version. However, if you’re using an earlier version (like SharePoint 2007 or 2010) it will take more time. That is unless you use a third party SharePoint migration tool to make the move. Do you understand the impact of the features removed from SharePoint 2016? If you’re currently using any features that have been removed in SharePoint 2016, you’ll need to develop a plan to deal with this, and you need to understand the costs involved (if there are any). Is your current SharePoint System customized? Similar to the removed features, the customizations you've made to your current iteration may not carry over automatically to SharePoint 2016. Again, will planning for this add to your costs? Bonus: Download the Ultimate Migration Checklist to better execute your move to SharePoint 2016. As it is so often in business, every company is different and every organization will have different needs. The best way to know how much your SharePoint migration will cost is by knowing your current system backwards, forwards and upside down. Putting together a list of what costs you face versus the benefits of upgrading will give you a much better overview to make your decision.